Antigone's CAKE knows that everyone has different needs, whether it is cupcakes for an elementary class of 23 or a wedding cake that must serve 300, Antigone's CAKE makes it easy for you! Yes, we do sugar free, vegan and egg-less cakes. Most basic cakes and cupcakes require at least four day notice. Most basic wedding cakes require at least a 2 1/2 weeks’ notice. This schedule depends on not only the complexity of the cake, but how many cake orders we have to complete. We will try to accommodate you in the best way possible. Depending on our schedule, we are able to complete "emergancy" orders. Since all of our items are custom, we do NOT provide same day service for cakes or cupcakes. 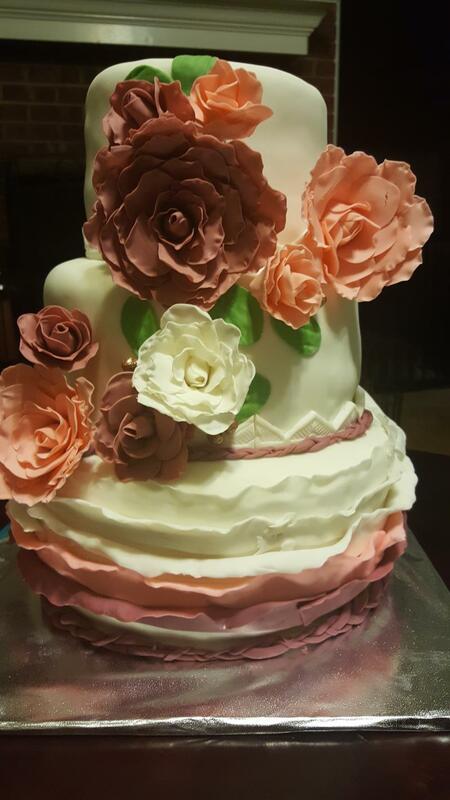 Antigone's CAKE provides cake and cupcakes for all age groups and all occasions. We also offer party planning services to make your event stress free and well, eventful! We do event planning for birthdays to weddings. Call us to today to make your next event a success. Bruno's Bakery line joined forces with Antigone’s CAKE. This entire line of goodies is natural, healthy and yummy treats designed especially for dogs and now cates! Everyone deserves a special indulgence once in awhile! Adult Specialty Cakes- Apple Martini, Banana Rum, Coconut Rum, Kahlua, Margarita, Pina Colada, Pineapple Rum and Rum.